The other day I read a post where the blogger was showing you how to stage your own “baby birthday cake smash” photography session without having to hire a professional photographer. It got me thinking about how what we see around us is getting further and further from reality. Babies have been smashing cake on their first birthdays for…well, for a long, long, LONG time. And while it may be a memorable family event that mamas and papas would want to capture on film (or digital memory), this idea of staging it in a photography studio or hiring a photographer to come out and stage it for you is…well, somehow it seems contrary to the whole thing here. One of the attractions of “candid” photos taken by a non-professional is that the resulting pics are real, not merely staged phantoms of what is real. But real. But then there are those professional photos that are carefully lit, posed, and retouched. Even when they are of things that really happened (whether it be in the moment or a recreation), there is a quality of unreal about them. It’s real, and yet it’s not real. How about those carefully staged food photos (food photos have been a thing for a long time) that have been fixed so the colors pop and everything is perfect. My food never looks like that. Even the food at the fancy schmancy restaurant doesn’t really look like that until it is photographed with a special lens and retouched. It was not that many years ago that the false images only appeared in print advertising, TV, movies, and magazines. But now we are inundated with these images of unreality every day (unless you live technology free and never go anywhere). Photos on blogs are fixed and made pinnable. Instagram photos have special affects applied. Anyone can add special effects using online editors. That’s just the pictures. Then there’s the words. The millions (billions?) of little bits that people choose to share with you online. Everyone is sharing their best of---but just like the professionally produced million-dollar blockbusters, they are not sharing the miles of words and images they left on the cutting room floor. It’s natural that people would want to put their best foot forward in public---we’re human, after all. We want to be liked. We want to be admired. We don’t want to be criticized. So it makes perfect sense that people would edit their photos and words before broadcasting them over the internet. The internet is forever! Exposing yourself there is a scary business. But the other side of being human is that we compare ourselves to what we see and read. The problem is that we’re comparing ourselves to what is not real and so we can’t hope to measure up. It’s a little like comparing yourself to a Disney princess. I mean you wouldn’t, right? Because how could you measure up to a perfectly drawn fictitious character? And yet we compare ourselves to these false images. Images that have some basis in reality, but that are not exactly real. So, what does that have to do with parenting and homeschooling? I just want to encourage you. For every word or image you read in a homeschool book, in a forum, on a blog, or on social media…there are thousands more that will never be shared with the public. But don’t compare your private life to someone else’s public life. It’s not fair to you or to them. If you must compare, take those snippets that you’d like to share with the world (your highlight reels!) and compare them. If you feel like you are drowning, you need real support, not pretty pictures. Many of us have been right where you are or at least know that feeling. Don’t be afraid to ask for support. I’d love to encourage you on your journey. 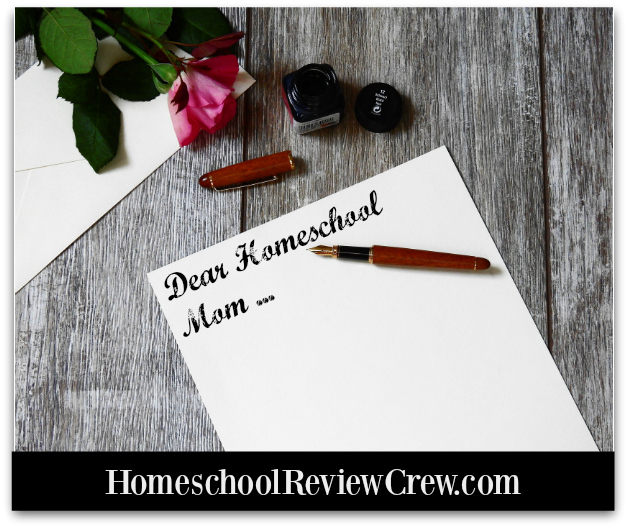 What are you struggling with right now in your homeschool? Message me through my FB page or drop me a line. This is so unbelievably true. As much as everything is "public" these days, so much of it is carefully arranged and staged to look wonderful rather than to BE wonderful. Not to say that people aren't living great lives and experiencing amazing things. It is just so helpful to remember that, just like a reality show is more show than reality, someone's amazing Pinterest or Facebook virtual life is *virtual*. I agree. It seems like the more we get to "see" into the lives of others, the less we really know what those lives are like, because everything gets cleaned up and sanitized for public consumption. I'm not saying that people shouldn't show the best---only that we shouldn't allow ourselves to be blinded by the illusion. Love this and couldn't agree more!